Oil and gas companies, which are grappling with an intense battle for customers amid a supply glut and stressed prices, are increasingly looking for ways to improve efficiency and reliability of their assets to gain a competitive edge. 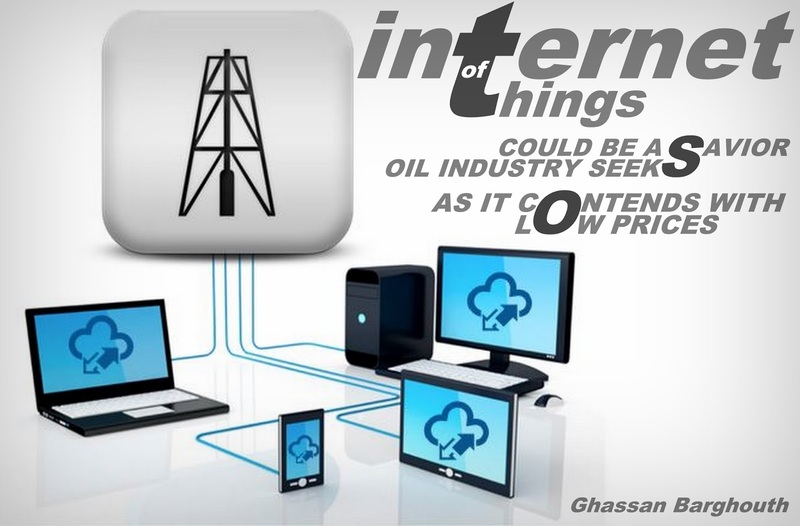 One area of rising investment is in the confluence of technology that allows greater communication and integration of different devices and sensors, the so-called Internet of Things (IoT), a promising disruptor that can allow producers to keep wells flowing and refineries running at a pace that wasn't possible only a few years ago. IoT has captured the imagination of consumer-device manufacturers, from refrigerators that can automatically restock favorite foods to cars that communicate with other vehicles and road infrastructure. Lower costs of sensors and the ability to transfer and process growing amounts of data is enabling the shift to greater connectivity for both consumer and industrial applications. In the oil and gas sector, a critical industry that’s generally resistant to chasing the latest fads, the adoption has been explosive. Companies are rushing to create cloud services that connect and integrate wells with other equipment in effort to optimize energy consumption, increase reliability, and allow for condition-based maintenance that helps producers maximize returns and maintain continuous output. This is happening as a result of the growing number of devices with cellular or satellite connectivity deployed in oil and gas applications around the world, which was 423,000 at the end of 2013, according to Berg insight, an analyst firm focused on the machine-to-machine market. Berg estimates that number will rise by 21.4 percent per year to 1.12 million by 2018. All those devices churn out peta-bytes (millions of gigabytes) of data that has to be analyzed and shared on cloud systems, and protected from cyber risks. The applications are almost limitless, from drones that can inspect remote operations to wearable devices that track workers and foster better collaboration. Machines have been talking to each other for decades. With the Internet of Things, humans are included in this conversation, transforming physical assets into digital ones that constantly monitor its surroundings and communicates to humans, making our machines more alive. By funneling this data into the cloud rather than segregated, closed systems, people are able to interpret insights and trends on how machines are behaving, and benchmark them against other assets which helps make better decisions. In the next few days, IOT will develop a trend within the industry to create a “self healing” or a “self optimizing” plant. Equipment and systems will be creating the necessary workflows based on process simulation to heal abnormalities. The value that can be generated in the oil and gas industry by implementing an integrated IoT strategy is considerable. According to a recent Deloitte study, decision makers in the industry have access to just one percent of the data gathered from assets. Improving data capture and analysis can cut unplanned well outages by 50 percent and increase "crude output by as much as 10 percent over a two-year period." This potential for rising production from existing assets comes as international and national oil companies retrench from investing in new technologies after crude prices plunged over the past year. And it's precisely during such a period, when planned projects are shelved and workers are let go, that low-cost oil producers in the Gulf Cooperation Council should exploit favorable pricing from services providers and make investments that will give them an edge when prices rise. Energy companies are traditionally hesitant with new technology given the numerous risks that must be mitigated, such as worker safety, protection of assets, and environmental concerns. These issues take on an even greater importance for countries in the Gulf, including Saudi Arabia, Kuwait, the United Arab Emirates, Qatar and Oman, which derive the bulk of their income from oil and gas exports. Any adoption of new technology has to ensure that critical infrastructure is not jeopardized. Still, many companies in the region recognize the importance of digitizing their assets and are well into the process of developing these new systems. One of the faster growing segments is in Digital Oil Fields, which uses big data, workflow automation, and other processes to improve efficiency and maximize output. Although the Middle East has been a relative slow adopter, according to RnR Market Research, the region is poised to be the world’s fastest-growing digital oilfield market, with spending to rise at a compound annual growth rate of 5.9% to 2022. This compares with 4.8% for the global market during the same period. Kuwait Oil Co. has launched three major pilot projects with a fourth one in the planning phase. Oman, a pioneer in deploying enhanced oil recovery technologies to boost output from its fragmented and mostly heavy crude reserves, is betting on its program to ramp up production. The National Oil Companies in the region own some of the world's oldest continuously-operated fields. Much of the equipment lack documents, control logics, and operational procedures; many records are missing and knowledge isn't transferred between departing and incoming employees. It's no surprise that GCC producers are moving to digitizing their assets. IoT has also been used to build a 3D model of a refinery in the region, which was mounted on a gaming platform to create a simulator. Workers could then be trained on how to operate and maintain a plant without risking the safety of the facility or interrupting output. These simulators mimic real-life scenarios, and include operating procedures that enhance the transfer of knowledge within organizations. Technology may advance incrementally on the margins for long periods of time without substantially affecting established players. Indeed, developing technologies may remain uneconomical on average, even as leading innovators approach breakthroughs. The future will see an increase in mergers, acquisitions, and the emergence of IoT (IT/Industrial) hybrid companies collaborating to bring affordable and efficient innovation to the market. But once a technology delivers cost and performance that is materially superior to the status quo; it may well be adopted rapidly en masse. Ghassan Barghouth, VP Middle East – Oil & Gas and Industrial Segments, Schneider Electric. He has held a number of key leadership roles throughout his 15 year experience in the gulf region, where he successfully led highly-reputed specialized Energy Services and Energy Management companies' organization's growth and sales strategies across the Gulf region, covering Power Generation Services and I(W)PP projects, and driving significant expansion of solutions available for the Transmission & Distribution, Smart Grid, Oil & Gas, and Industrial Services segments. Ghassan holds a bachelor degree in mechanical engineering from the University of Jordan.